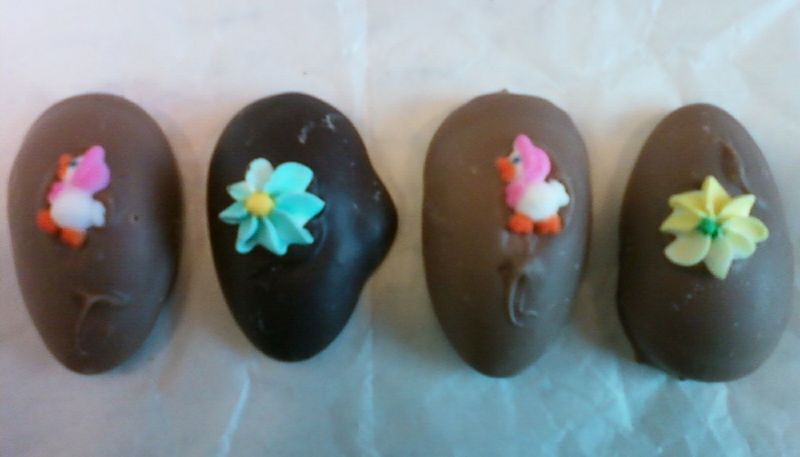 I admit I absolutely love those chocolate covered eggs sold this time of year. 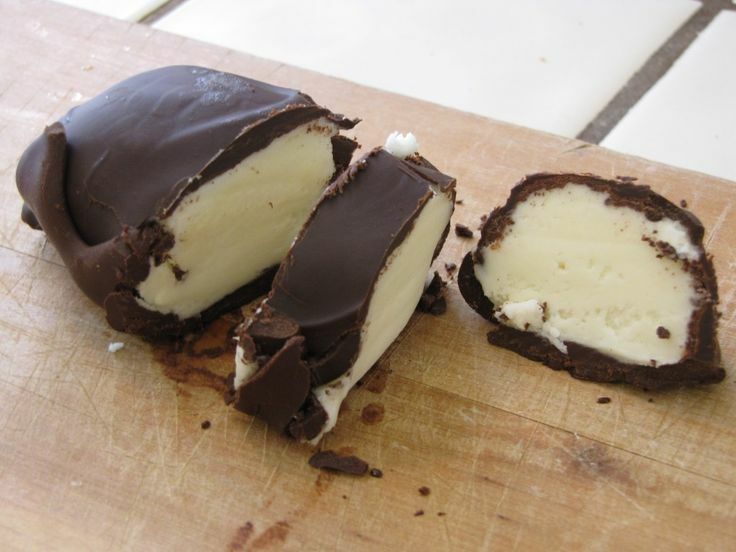 When I was little I couldn’t wait to get in my Easter basket, grab the big chocolate coconut egg, and take a huge bite out of it! And were they ever delicious! They still are. And I still have to have one every year! However, it’s become quite popular now for people (not me yet) to make their own chocolate covered Easter eggs. A lot of organizations sell them as fundraisers. The hair salon where my mother used to go sold them every year, and I’m sure they still do. One thing I’ve never tried to do, though, is make my own. But I thought just for the fun of it, I’d try to see how complicated they are to make. So I paged through all of my mom’s old church cookbooks as well as recipes she’d cut out of the local newspapers, and came up with a couple of recipes! I doubt I’ll have time to try them this year, but next year, since we’ll have an almost year old granddaughter at Easter, well, I’m sure there will be lots of new things made that I’ve never tried before! I’ve not made candy before. And I confess I haven’t tried this recipe, but it sure sounds easy enough. Maybe next year I’ll attempt it. But if you try it, or have other similar recipes you’ve tried, let me know. I’m always interested in new ideas! Place eggs onto tray or cookie sheet lined with waxed paper. Cover and chill for 4 hours or until firm. Place each egg on a fork and dip into melted chocolate, letting excess drip off. Place back on tray, cover, and let stand until firm. Refrigerate for best results. While still most, you can decorate with colored sprinkles, or add the candy flowers. I would wait an hour or so to add the decorative icing, but remember, I haven’t tried these yet, so it’s a matter of trying it out to see which works the best. I would probably display or serve these in decorative cupcake cups, especially the ones that are shaped as flowers. You might even want to put them in an Easter basket if they turn our really nice!